Finding a partner who holds the same commitment and philosophy as you is critical in any business, but even more so in this relationship-driven industry of wine. This is why we are so excited to be partnering with our pioneer Moravian producer, Krásná hora, who will joining us at this year's USATT event in NYC. 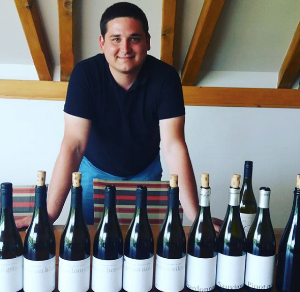 Winemaker Ondřej Dubas will be joining us from the Czech Republic to pour some of his current wines, and give us a taste of the new vintage to come. Their name, Krásná hora, translates to “beautiful mountain” in English, and this family extends the beauty from the mountainside right into its winery. From the first planting by their grandfather in the 1960s, while under the communist system, they have followed this approach and the winery has come a long way. They focus on releasing high quality wines from small parcels of premium fruit after long and careful aging in their cellar located immediately behind their vineyard. Their passion and dedication to creating modern beauty translates directly into their wines. Learn more about Krásná hora here. So if you are in NYC, stop by to meet Ondřej and the rest of us, and taste some wines from Moravia!